Toothless from How to Train Your Dragon waz modeled after a tabby cat! This makes perfect sense now that I think about it.... Dragons iz fierce magical awesome killing powerful creatures.... and so iz cats. So... pretty identical. Five months before he began working on How To Train Your Dragon, animator Gabe Hordos adopted a cat from the humane society in L.A. Hordos, a Regina, Sask., native who has lived in L.A. for seven years, had never owned pets before so his first attempts at friendship with the red tabby were difficult, mostly because the cat had been abused by its previous owners. Hordos decided to take a wait-and-see approach and hoped the cat, who he named Stufen, would come to him. Stufen is named after Manfred von Richthofen (the Red Baron of WWI) because Hordos was reading a book about the aviator when he adopted the cat. Stufen eventually did warm up to Hordos and he worked many of his cat's characteristics into Toothless, the night fury dragon. Observation: “I watched his [Stufen] behaviours and you start to recognize the personality in him… these creatures that have no facial expression can actually be emotive and actually make you feel something." First contact: "Like the one scene in the movie where Hiccup goes to touch him, I had a very similar experience with my cat... it was almost verbatim to what happens in the movie. Instead of trying to touch him I held out my hand and sat there for awhile and he came up and touched my fingers with the side of his face. It was interesting that you have to build this trust. He would do these things and they made their way into the character, the lip smacking, the way Touchless moved and sat down in these strange ways." Challenges: "How do you make this guy cute because you already know he’s angry and he’s mean and he’s bad. If we can make people fear him a little bit in the beginning but then really fall in love with him then what will happen is that he’ll turn into this creature that you’re so happy is your friend…it’s the coolest." I spoke to Hordos on Feb. 24 at a luncheon at the Canadian Consul-General’s home in Hancock Park in Los Angeles, which was organized to honour the Canadian Oscar nominees. 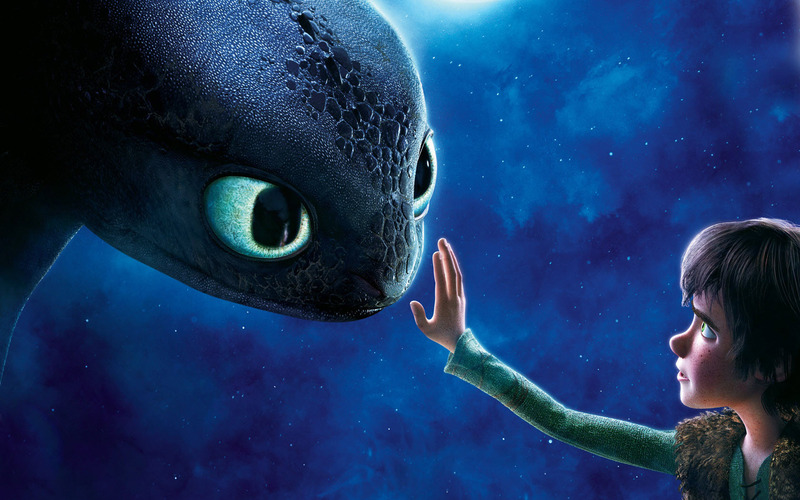 How To Tame Your Dragon is up for Best Animated Feature against Toy Story 3 and The Illusionist. Desperate for some secrets of the Dragon 2 sequel I spoke to Dean DeBlois, the writer/director of How To Tame Your Dragon. “It certainly will be multicultural,” he said. I probably forced him into that response after I reminded him that we're Canadian and Canada is so multicultural.... He laughed in agreement and said: “At the end of last film, all these Vikings who were previously somewhat landlocked are now on the backs of dragons so the entire Northern Hemisphere opens up to them. "And with that Hiccup’s curiosity increases, the map expands and inevitably they are going to come across new dragons, new cultures.” After he beat DeBlois added laughing, “and more women.” Oh dear, Astrid, there is competition on the horizon. 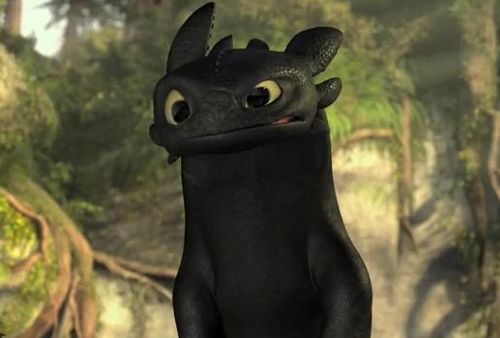 In the sequel, DeBlois intends to address where Toothless comes from because he’s so rare. But a family of night fury dragons isn’t part of the story at the moment. Beyond that DeBlois wouldn’t give away plot-lines. Good news - there's definitely going to be a third installment of How To Tame Your Dragon. I know it'll be a hit in my house.